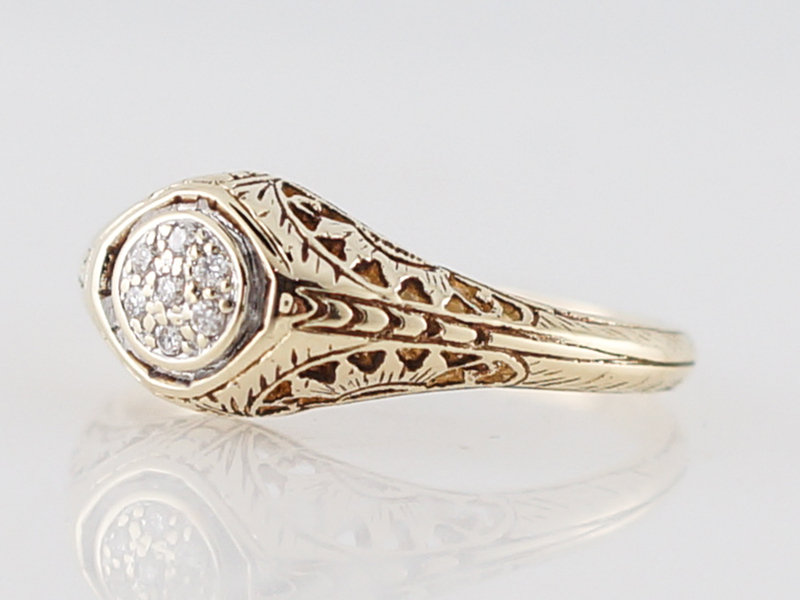 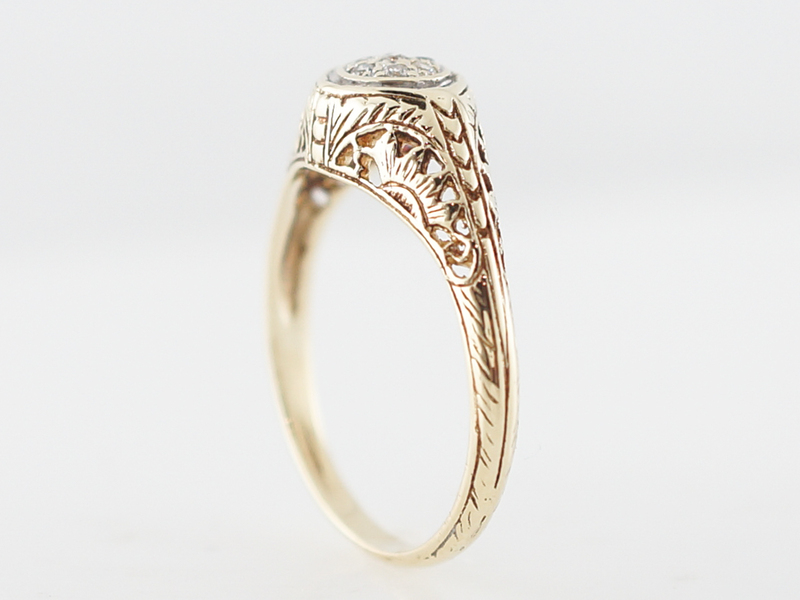 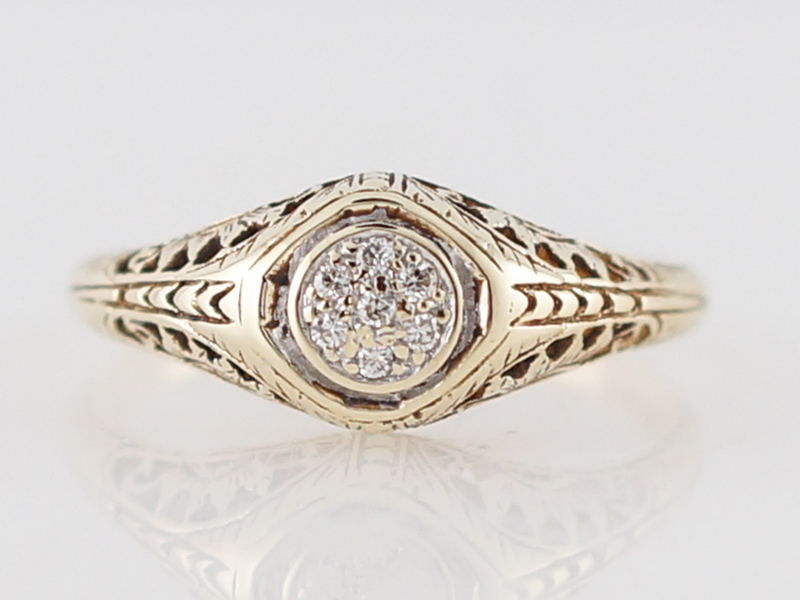 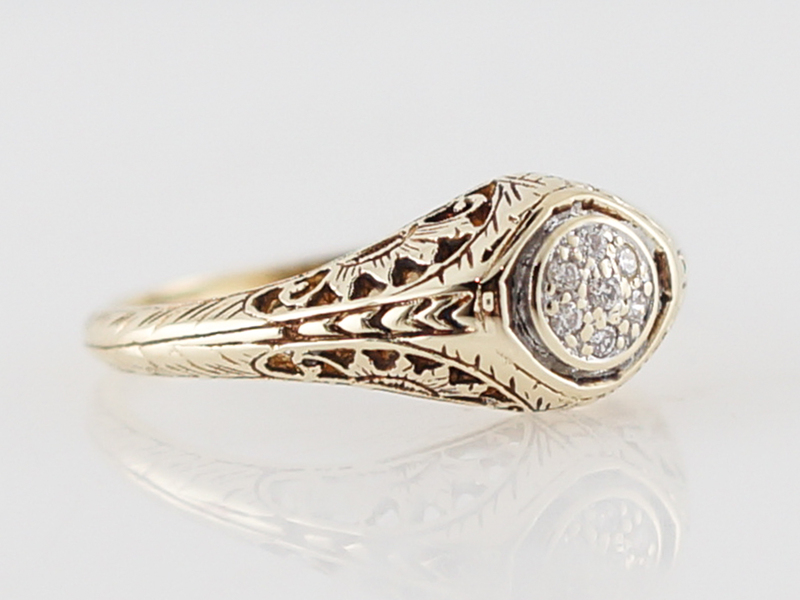 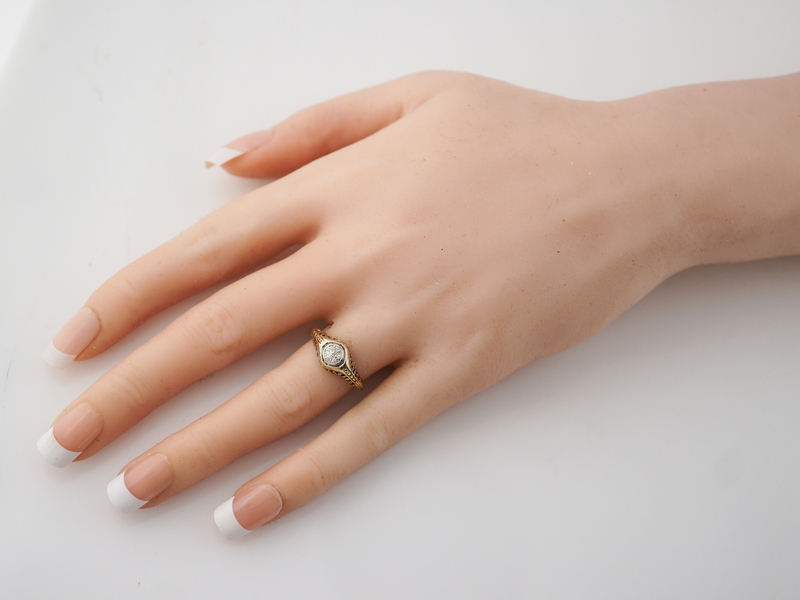 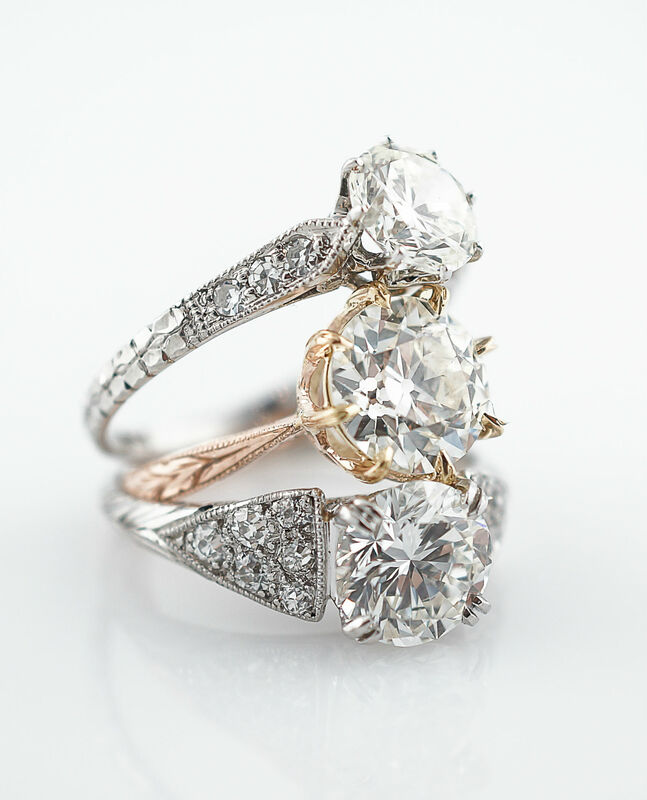 This is a beautiful antique engagement ring from the art deco time period made in 14k yellow gold. 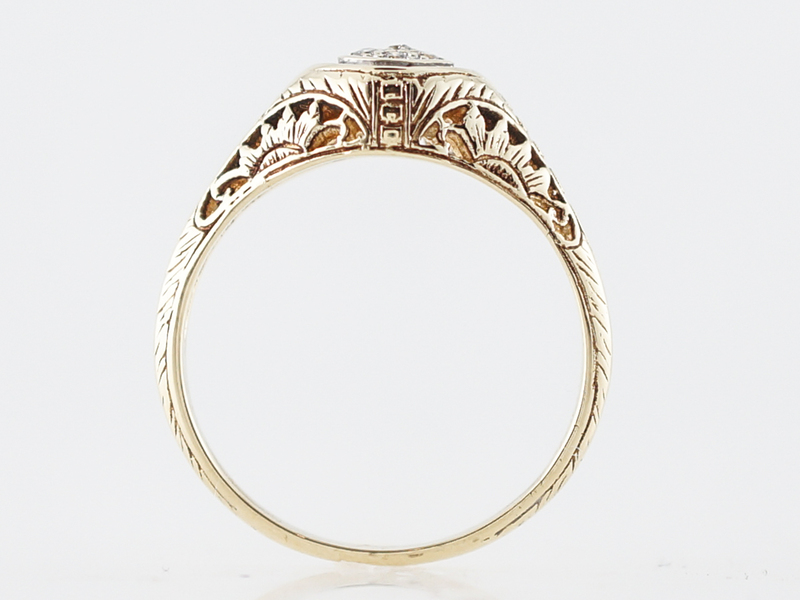 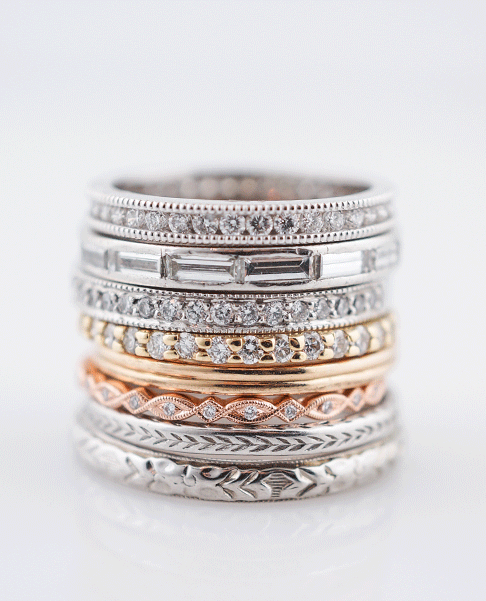 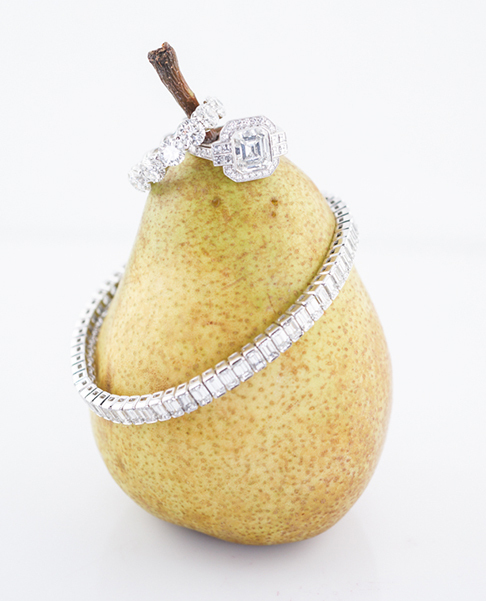 The basket is decorated with very unique hand engraving and at the center are seven (7) diamonds in a pave setting. 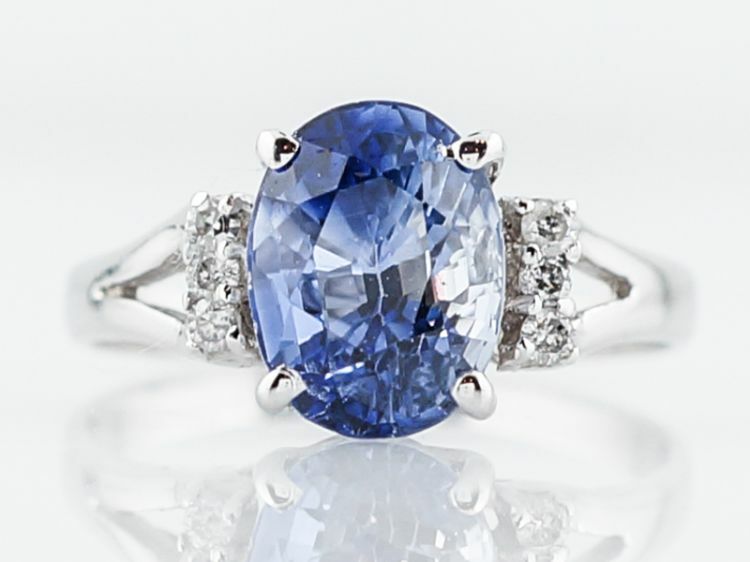 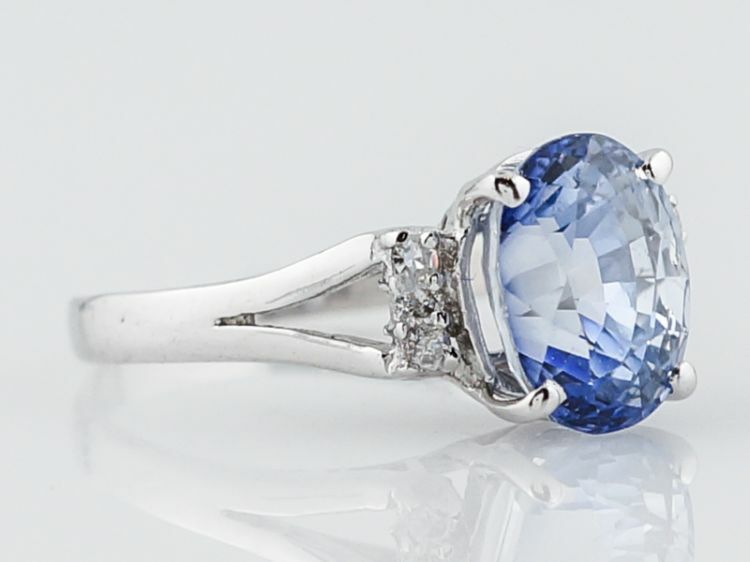 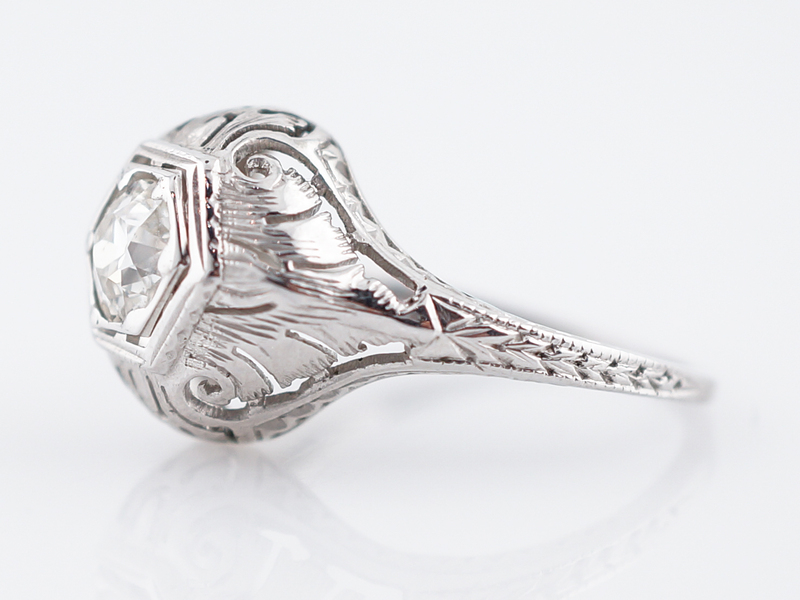 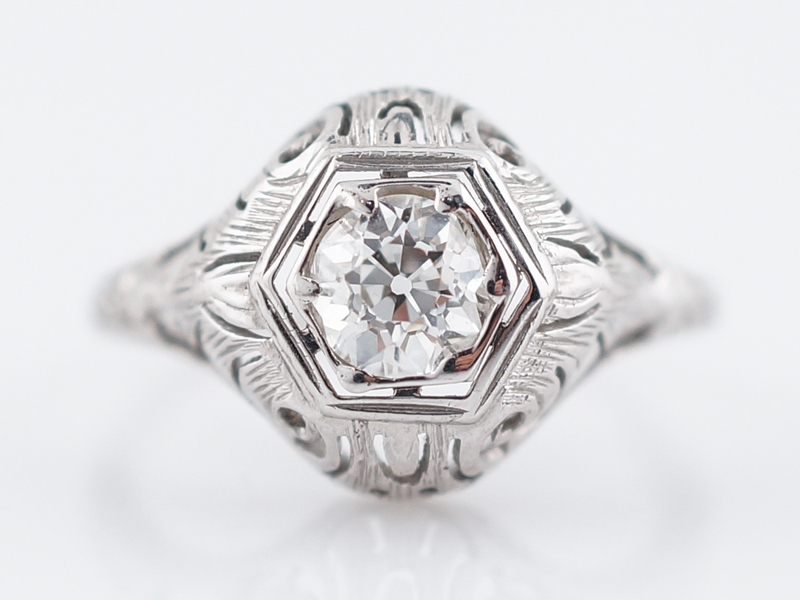 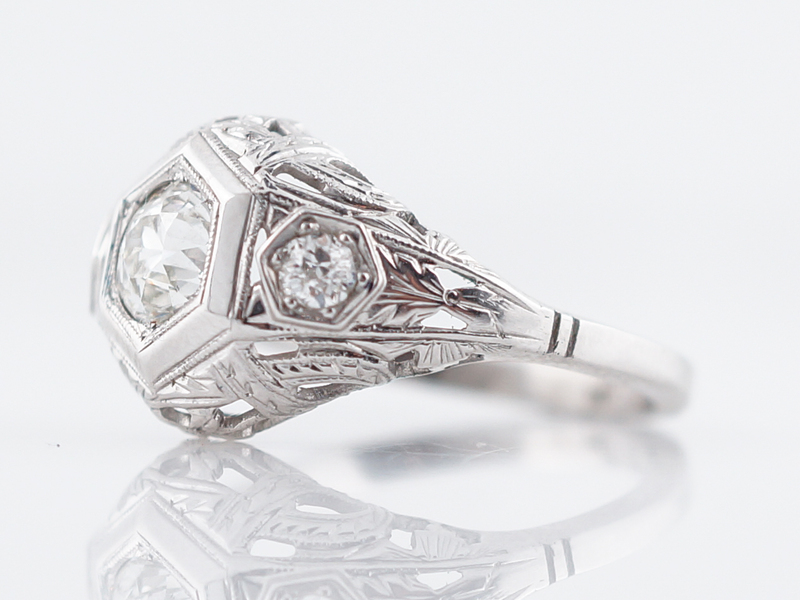 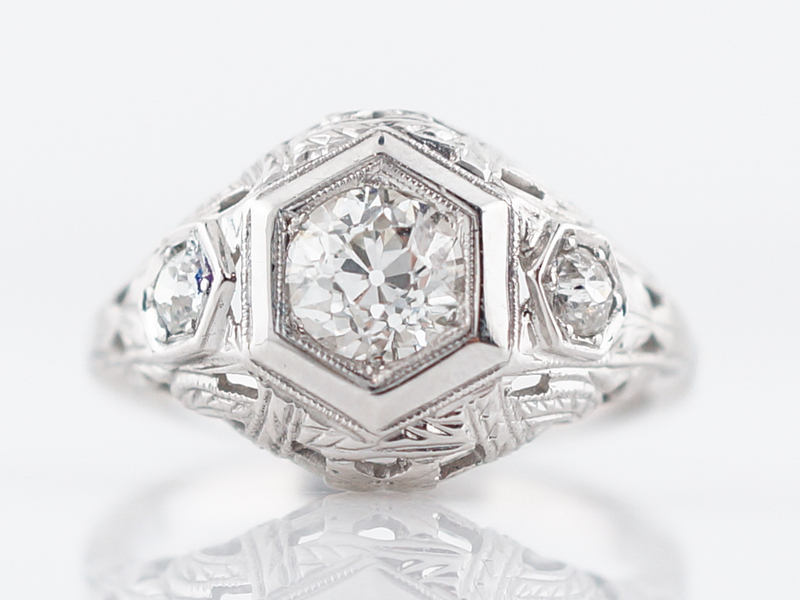 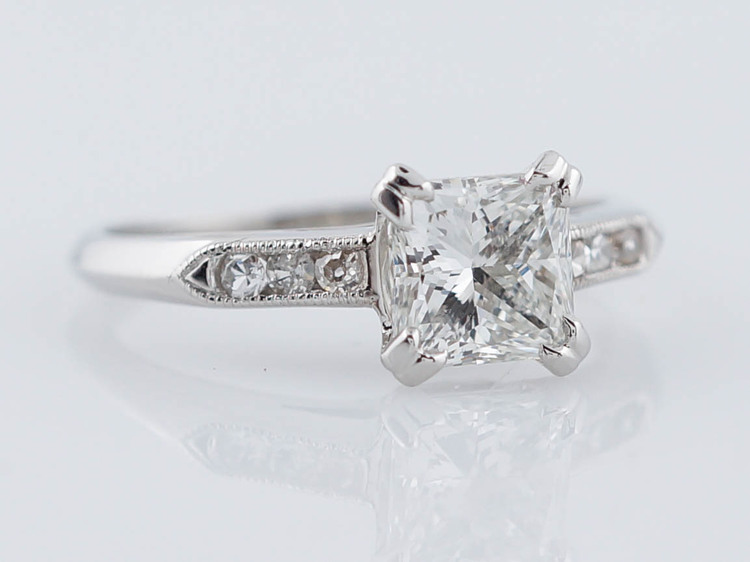 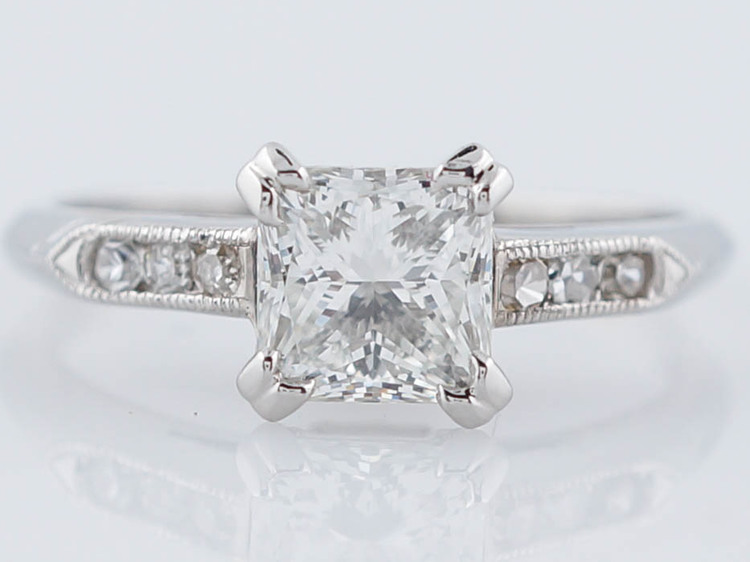 This ring has the appeal of a simple solitaire with all the charm and character of an art deco antique.